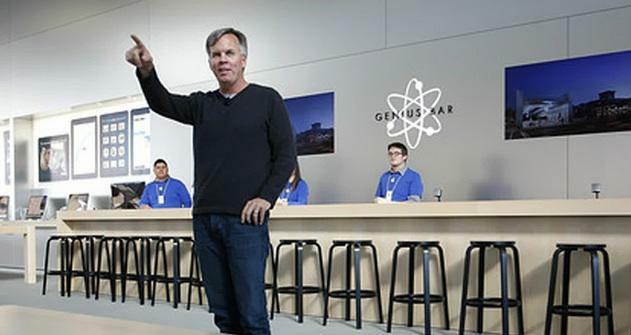 As an Apple executive from early 2000 to mid-2007 Ron Johnson was instrumental in launching the company’s chain of retail stores and its customer service Genius Bar. Now he’s back with a new plan to change the way we buy consumer electronics, according to a report from The Information. The new business will apparently mix elements of Apple’s Genius Bar and the Geek Squad, which offers a similar service for Best Buy customers, suggesting it could put a huge emphasis on human interaction and customer service. The Information doesn’t offer any more details on how Johnson’s new company will work, though it sounds like he’s already recruited several of his old Apple colleagues including former vice president of retail Jerry McDougal. Johnson’s time spent at Apple is generally viewed pretty favorably, but that doesn’t mean he has a perfect track record. After leaving Cupertino he took over as CEO of J.C. Penney in 2011. Two years later he was fired for treating the discount retail chain like an upscale Apple Store and driving away long-time customers. Now it looks like Johnson is finally heading back to his comfort zone, and we’re curious to see what he has planned.